I kinda just sit at home all day and wish I had friend to hang out with. I love the beach and love playing games. About me I'm honest, trustworthy, and a little quiet. In my spare I like to see a movie, travel, and spend time with my family. I'm looking for a serious relationship with a kind woman to spend my life with. 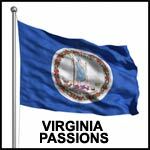 Meet people in VA I would like to meet new friends in the Virginia area and not have to travel to DC or MD.